Visit the Reva and David Logan Center for the Arts for daily arts programming and event information around campus. Browse our brochures, pick up arts maps, or purchase tickets for any arts event around campus at our Box Office. 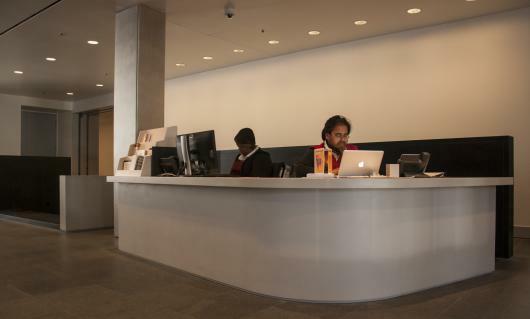 Our front desk personnel are available to answer your questions.